Disclosure: The coupons for product redemption, information, and gift card have been provided by Oroweat® Bread so that I could try the product and share my thoughts and information about Oroweat® Healthfull® Bread. The opinions expressed in this post are my own and do not reflect the opinions of Oroweat® Bread. We are a sandwich family. Hubs eats sandwiches almost every day and the kids have started to enjoy noshing on them as well. 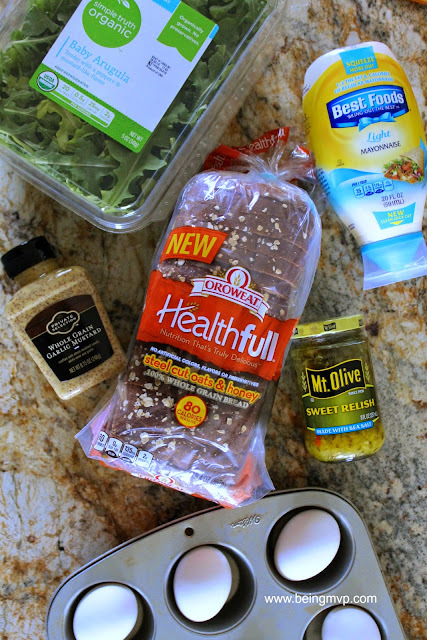 Oroweat® Bread is a staple in our household so I was happy to learn of the new Healthfull® Bread full of better-for-you ingredients and make the swap. The Oroweat® Healthfull® Bread is available in 3 varieties - Flax & Sunflower, Steel Cut Oats & Honey, and Nuts & Seeds. Each slice has only 80 calories and is made of 100% whole grain flour, is a good source of fiber and contains no high fructose corn syrup, artificial colors, or preservatives. Kenzie has been on a grilled cheese kick ever since she saw me eat one. It's a comfort food that is super easy to whip up and delicious. Just pair your favorite cheeses with buttered slices of Oroweat® Healthfull® Bread and "grill" in a pan on top of the stove and it's ready to eat in minutes! 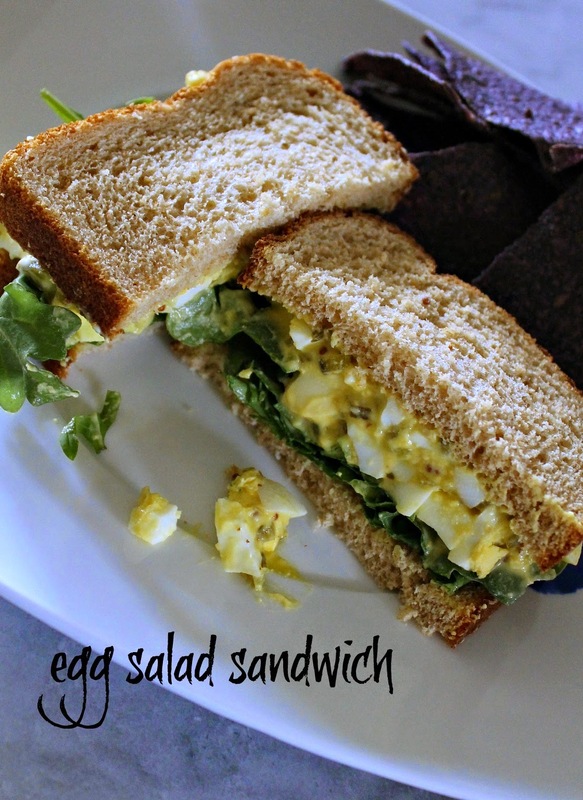 Another favorite sandwich is the Egg Salad Sandwich. It is light and quick for summer. 1. Bake eggs in a muffin pan for about 30 minutes in 350 degrees. 2. Peel eggs and roughly chop. 3. 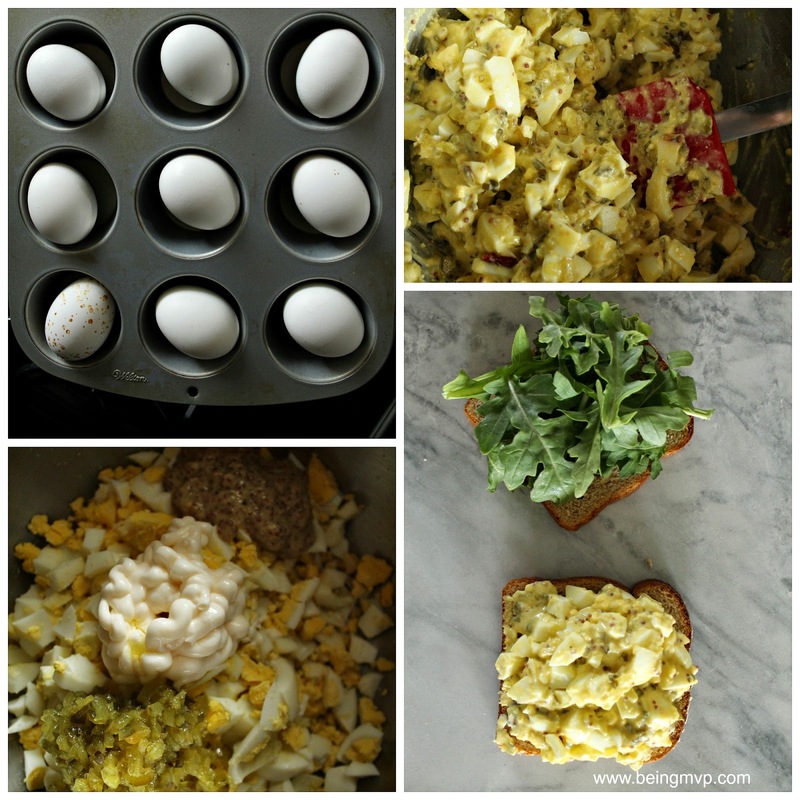 Mix mayonnaise, mustard, relish, salt and pepper with chopped eggs. 4. Add more mayo, if needed. 5. Layer arugula on slices of bread and place half the mixture on each sandwich. 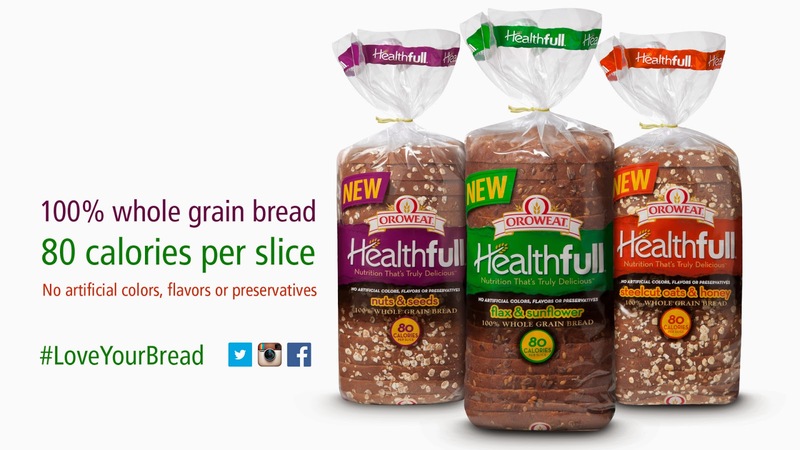 one (1) coupon, valid for $5 off an Oroweat® Healthfull Bread! I'd like to make a tuna sandwich. I'd like to try this bread for a healthier alternative. I would love to try the southwest lime chicken sandwich! I am always on the lookout for a better bread for my lunch sandwiches! My favorite sandwich from the recipes on the site is the strawberry banana sandwich! I think it sounds great for summer. I would like to try this bread because it sounds like it sounds like it tastes good while being nutritious. I would make a ham and swiss sandwich. I want to try this because I like wheat bread. I want to make a delicious Ham and Cheese and tomato and lettuce salad with this bread. I would like a turkey and cheese sandwich. This bread would be healthier than what I have been using. We love Oroweat! I love all kinds of sandwiches - tuna, turkey, egg. My husband eats whatever leftover meat from the night before on his sandwich the next day. I'd love to try the Oroweat Health Nut bread with sunflower seeds. My favorite sandwich recipe from their site is, "California Cobb Sandwich." I'd like to try this bread since it's a healthier version and doesn't contain high fructose corn syrup. 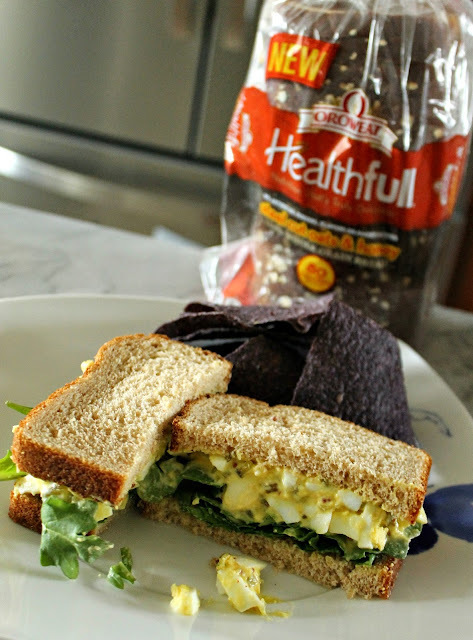 I love egg salad sandwiches and I would like this bread to get more protein and fiber in my diet. My favorite sandwich is roast beef with mayo and lots of veggies on whole wheat bread, I'd like to try their Healthfull Nuts and Seeds bread because I am trying to add more nuts and seeds to our meals. My favorite is cajun roast beef and provolone on wheat bread. I would like to try this sandwich on Healthfull nuts and seeds bread because it sounds interesting and tasty. My favorite sandwich is turkey, cranberry sauce and cream cheese. I'd like to try the nuts and seeds because that would make my favorite sandwich even better! I'd love the 100% whole wheat! That's what we eat in our house! My favorite sandwich is turkey sandwich, I want to want to try the new Health-Full breads because I want to incorporate more fibers into meal. One of my favorite sandwiches is chicken salad and I think it would be amazing with the Healthful breads. I like turkey, cheese, mayo, lettuce, pickles and jalapenos on a nice honey wheat bread. I think my kids would enjoy the S'more Sandwich. We love BLT's, Grilled Cheese, Tuna or just a good ole' ham sandwich. I am interested in these breads because they are cholesterol free and we have a big problem with high cholesterol in our family. I love Turkey and cheese on wheat and I want to try this products because it looks really healthy and flavorful. My favorite sandwich to make is a turkey sandwich with mayo, lettuce cucumber and avocado and tomato. The turkey and cheese on wheat also but I would grill mine and had mustard and tomato. I like ham & cheese and I want to try the Health-Full breads because I am trying to eat better. I like chicken breast with muenster cheese, toasted! I'd love to try this bread because we already love Oroweat and I'm sure this line would be just as tasty! I love swiss and ham and I love trying new breads. I love a good ham & cheese sandwich - or salami, pepperoni and bologna with cheese.. and loaded with veggies. I'd love to try these because i'm always looking for good tasting, healthy alternatives to white bread. I like the 12 Grain bread. It has whole wheat, sunflower seeds, oats, barley and brown rice. I would like to try these breads because they are more nutritious. I'd like to try the I like the Nuts and Seeds bread because I've always liked bread with lots of these things in it; they seem healthier and taste better! I would make egg salad sandwiches. I love a turkey and cheese sandwich. These breads are much more nutritious than what I eat now. A welcome change! The California Cobb sandwich on their website looks super good. It's my favorite salad- so I know I'd love it. Our family is always looking for a tasty bread that gives us extra nutrition without all the bad stuff. This sounds like a perfect brand for us to try! Thanks! My favorite sandwich is the california cobb. I would love to try the bread because it looks hearty and extra healthy! The southwest lime sandwich sounds good. Def the Hot Cheesy Eggplant Sandwich!! I love eggplant and moving toward vegetarian. The wheat bread looks yummy and healthy! I like Ham sandwich with Brie. I would love to try the Autumn Turkey Sandwich and I would love to try the Double Protein bread. The Egg and Avocado Toast looks so good. I would put that on the pumpernickel rye...my favorite. MY favorite sandwich is a tuna sandwich with cheddar cheese melted on it. Can't wait to try it with their wheat bread. That egg salad sandwich looks delicious. It could potentially be a new favorite of mine. I love egg salad and chicken salad sandwiches. I'd want to try this bread because, as a diabetic, I need healthy options! I'd love to try their Autumn Turkey Sandwich. It sounds so good with the sweet potatoes & cranberry filling. My favorite breads are full-flavored and thick & these sound quite tasty! I like BLT's and I want to try this bread because it full of good grains. My favorite sandwich is Chicken Salad. I would like to try this bread because we are trying to eat a healthier diet and this sounds like a good healthy bread. I love turkey and avocado. I'd like to try this bread because it looks to be healthful AND tasty....probably would be for a BLT, tuna on toast or a grilled cheese too. Would love to try the Chicken, Roasted Red Pepper and Gouda Panini sandwich. This bread would be much healthier than your standard white! I like turkey, avocado, and tomato. Peanut butter sandwich and I'd love to try the new Health-Full bread because I love Oroweat bread. I like the Hummus Club Sandwich and I want to try Oroweat because whole grains help you maintain energy throughout the day. My favorite sandwich is ham and cheese. I would love to try it on the Nuts and Seeds bread. I bet it would be delicious and very healthy. My favorite sandwich is turkey breast; I would love to try a turkey sandwich on the nuts and seeds bread because I think it will be a very healthy sandwich! I would love to try the Thai Grilled Chicken CHicken sandwich. i am a huge fan of Thai food and would love to give this a try! My favorite sandwich is grilled cheese with tomato. I would like to try this bread because it seems healthy and I'm into health. My favorite sandwich is ham, cheese, lettuce, tomato and cucumber. I would love it on double fiber bread, because fiber is something that I need to make sure I get enough of. My favorite sandwich is a tuna sandwich with either american or swiss cheese/ i'd like to try Health-full's bread because i like to eat healthy bread, instead of white bread. I would like to try Health-full bread because I need to be healthier. My favorite sandwich is a chicken salad on premium potato with lettuce, tomato and onion on top. Italian with the works. They look tasty. I love eating turkey & munster cheese on whole wheat bread :) I'd like to try their flax and sunflower bread! 12 Grain is my favorite. I love healthier whole grain breads. I think they just taste better. I love tuna salad and would love to try this as we are always looking for ways to enjoy our favorites in a healthier way. I would like to make an egg salad sandwich on the Nuts and Seeds Healthy Bread. I think it would taste great. My favorite sandwich is a grilled ham and cheese. I would like to try this bread because it doesn't contain high fructose corn syrup and and they sound delicious and fresh! The steel cut oats and honey sounds like my style! My favorite sandwich is a turkey and ham club and I like to have this great sandwich. I would like to try it out on Brownberry Honey Whole Wheat because it is the healthy choice and it's delicious. My favorite sandwich is grilled cheese with a fried egg, and I want to try the new Health-Full breads because why no? I have the feeling they will be better than the bread I use now. My favorite sandwich ever is a Monte Cristo, but I don't eat that often, only as a coffee shop treat now and then. At home I like a nice grilled ham and cheese and it must be on a good wheat bread with. I want to try the Oroweat Steel Cut Oats & Honey. the california cobb sandwich from their site looks good! the bread looks good! i love a good sandwich! My favorite is a tuna sandwich with pickles and lettuce. I would love to try these breads as they are much healthier than the plain white bread. My favorite sandwich is chicken salad. I'd love to try the steel cut oats and honey bread! i love turkey sandwiches. i want to try this because i'd like to get more fiber in my diet! I live turkey and Swiss! I would love to try to spread because I tried to get my two children to eat healthy!! I would love the California Cobb Sandwich, sounds so delicious!! 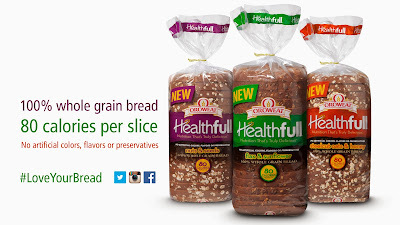 I would love to try the new Healthfull bread because it has 80 calories per serving and is made with 100% whole grains. I do not see an option on your website to subscribe by email. I want to try the Honey Whole Wheat. I like this type of bread and I like the ingredients in the Arnold breads. I'd like to try the Cobb Salad Sandwich. I'd like to try this bread because it's healthier for me.